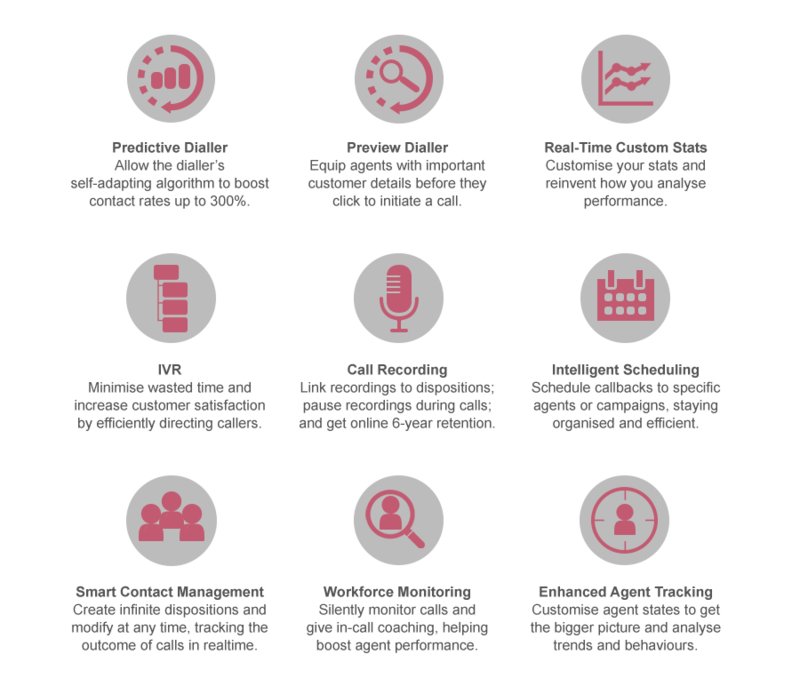 Keep on top of all activity across your call centre, utilising a multitude of smart quality monitoring features that allow you to optimise agent performance and assess training and coaching opportunities. Listen in to live calls and closely track agent behaviour in real time, using findings to develop agent performance and drive results. Call centres are often criticised for the levels of service their customers receive, with reasons ranging from agents not actually knowing much about the company they work for to call waiting and handling times being far too long. In the days of social media, negative publicity about your customer service levels can spread like wildfire and seriously harm your brand or company’s reputation – ultimately putting off potential customers from using your services in the future because they’ve “heard awful things about their customer service”. Therefore, the stakes have never been higher for successfully managing your call centre operation, and below are just some of the benefits you will reap by monitoring your agents, call activity and more in order to get the maximum potential out of your customer services. Silently monitor calls and gain a real-time perspective on agent performanceOversee the strengths and weaknesses in the approach of your agents’ through silently listening in to their calls as they happen live. Agents and customers will have no knowledge this is taking place, allowing you to gauge where extra training may need provided or changes in technique or tone executed. Carry out in-call coaching and reduce the risk of wasted opportunitiesGo one step further by stepping in to a call as it’s taking place, offering instructions and guidance to agents to help them reach a successful outcome before it’s too late. Whether it’s to help push a sale on the brink over the finish line or assist a new starter, the end customer will have no knowledge you are secretly talking to your agent. Monitor and coach wherever you are in the worldManage your team from anywhere in the world – all you need is an internet connection. This enables you to access Quvu regardless of where you are on the planet and keep tabs on the performance of your agents, whilst being extremely handy for flexible working and easily monitoring agents over multiple sites. Being able to keep track of whether an agent is on a call, the duration of calls they have been on and how long it’s been since they were last on a call is an excellent way for you to observe who the top performing agents in your team are and who the underachievers are by being able to see solid statistical information for the day, week, month or even year – all within a few clicks of a button. Over time, having information such as this at hand may provide an indication as to which agents are more deserving of a promotion in the event that an opportunity arises, or which agents deserve to have their contracts extended or made permanent if they’re currently just working on temporary fixed-term contracts. Having the ability to listen to calls as they’re happening and being able to take over the call yourself, if necessary, can also benefit your call centre operation. For example, say if you have a new starter taking a call from a particularly difficult customer and you’re increasingly worrying about what the outcome of the call is going to be, you can ‘jump in’ the call and take it over yourself to ensure a more positive outcome for all parties is reached. Carry out monitoring in real-time so you and your supervisors can stay on top of what is going on, when it is going on. Immediate and Detailed OverviewSelect the individual agents, teams or campaigns you want to monitor and immediately get an overview showing the current state of each agent. Broken down into unavailable for a call, on a call and waiting for a call, each agent will also display additional information on their individual state. Completely Customisable TrackingEnjoy the flexibility that allows you to customise as many states as you like, which agents will choose from in order to present their current state of activity. These are unlimited and can be as detailed or basic as you wish, helping you identify the reason why an agent may be not ready for a call or in wrap mode. You are in ControlYou have the power to change agent states if you deem it necessary. Simply click the agent and on the menu that appears you can change their state, without even having to give them warning. Overseeing individual agent performance is a key element of monitoring your call centre operation, but equally it also helps if you can take a step back and monitor the wider activity of a particular team, department or call queue. One of the most common complaints about call centres is the time customers spend in queues on hold, waiting for an agent to become available. By monitoring a particular call queue you will be able to keep a watch over how the team managing that queue are dealing with waiting and handling times – if a queue is continually getting longer it could suggest the team are not responding to calls or dealing with enquiries quick enough, which can severely test customers’ patience. No call centre supervisor or manager wants their agents to be sitting idle while they wait for an unanswered call to be picked up by a receiver, which is why carefully monitoring call data and then feeding it into a predictive dialler system can hugely increase agent productivity. 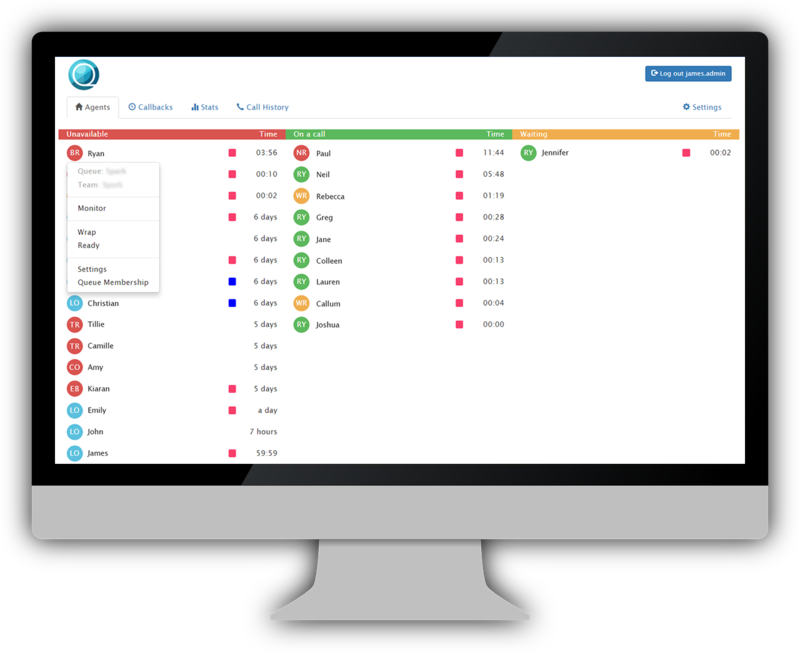 Predictive diallers analyse average call duration, quality of the data provided in the CRM, average wrap time and number of agents in order to determine how many calls can be placed whilst adhering to Ofcom abandonment regulations.